Individual solutions to maximise gas purity and cost-effectiveness quality gas mixers form the world market leader perfectly suited to your laser system process and resonance gases of the highest purity the correct quantity of gas, every time the exact mixing ratio, every time cost-effective, flexible solution Today, laser systems play an important role when cutting and welding metals. Performance and quality in laser systems are decisively influenced by the composition of the process and resonance gases. 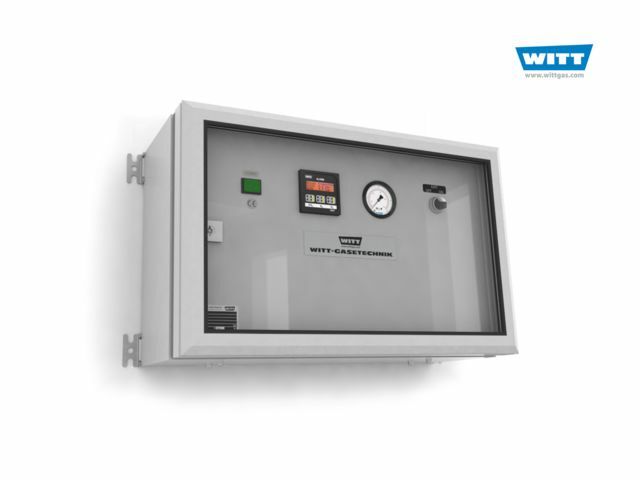 WITT gas mixers ensure not only the most reliable gas supply in terms of quantity and mixing ratio precision – they are also optimal for delivering the highest possible gas purity. Further benefits include their high flexibility and range of mix ratio settings, and last but not least, the cost savings compared pre-mixed gases. WITT has the strongest possible track-record in the design and manufacture of gas mixers for laser applications. In close collaboration with leading manufacturers of CO2-lasers over many years, the company has provided specific solutions to boost performance.